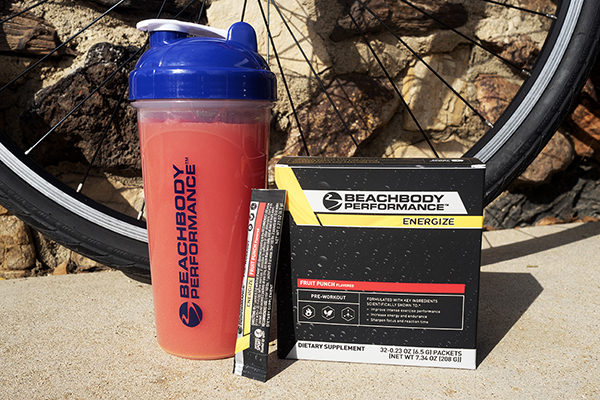 Pop quiz: What’s better than Beachbody Performance Energize? Answer: Beachbody Performance Energize in TWO flavors! Yes, Energize Fruit Punch is now available — you can enjoy the same effective pre-workout supplement in both Lemon and Fruit Punch flavors in convenient, easy-to-pour stick packs! The new Energize Fruit Punch flavor delivers delicious notes of passion fruit, orange, tangerine, and pineapple. Both Energize Lemon and Energize Fruit Punch will be available for purchase in 40-serving tubs and 32-stick pack cartons as a one-time order AND as a monthly subscription. Fun fact: This is the first new Energize flavor since Beachbody Performance launched in 2015. So get yours now! You don’t need to be an extreme athlete to reap the benefits of the Beachbody Performance line. We created Energize, Recover, Hydrate, Recharge, and Creatine to help you exercise harder and recover better from exercise. Beachbody’s R&D team of highly trained scientists and nutritionists strategically combined the perfect amounts of a handful of ingredients that are scientifically shown to help aid exercise and support performance. Learn more about how each Beachbody Performance supplement works and when to take them here.